It’s the moment many hockey enthusiasts across North America have been waiting for, a moment many fans, and even people around the National Hockey League, thought would never happen. Bobby Orr has finally written his long-awaited book, Orr: My Story. Many books have been written about him, including Stephen Brunt’s Searching for Bobby Orr, without ever having interviewed Orr or his family because the subject never wanted the attention. Thirty-five years after retiring, he finally decided it was his turn to tell his story. It’s amazing how someone who is arguably the best hockey player to ever play the game can remain so humble. But modesty is the definition of Orr and this book. Orr: My Story is more than just the former number 4’s “tell-all” of his hockey career. Though he does provide more insight into his ascension in the hockey ranks, the book is dedicated to thanking the people who helped him get there. In the book, Orr never fails to mention how his family, his teammates and his coaches have made him the player he was with the Bruins, and the person he is now. He even dedicates a chapter to Don Cherry, his coach in Boston and the flamboyant host of the CBC’s Coach’s Corner on Hockey Night in Canada. Orr explains how much Cherry meant to him and his family and almost makes you want to the warm up to him. Much of Orr: My Story is also advice to parents and younger players, as Orr wanted people to learn from his experiences, good or bad. And if you’ve followed Bobby Orr’s career, you’d know he’s had his fair share of both. For example, Orr writes that hockey should be played to have fun and if you’re good enough to make a career out of playing, great, but that’s not the goal. Orr says that his best memories involve playing shinny hockey in outdoor rinks in Parry Sound, because of how much fun he had, and that he never stopped having fun, even in Boston. His advice to parents is to let kids play, because the point of playing is to have fun. Orr also offers his opinion on fighting, that it has place in the game but blind-side hits and hits from behind need to be removed. Orr also dedicates a chapter to his former agent, Alan Eagleson. In short, he was a fraud and stole from his clients, including Orr. While Orr admits that he trusted Eagleson and should have paid more attention to his finances, Eagleson betrayed him and left him broke after Orr retired. Now, Orr works as an agent, but never handles players’ money, believing that the players need to learn how to manage their own money. What you get out of this book is that Orr doesn’t see himself as a legend, as he is perceived to be. He proves throughout the book that he was not only a special player, but a special person to know as well. 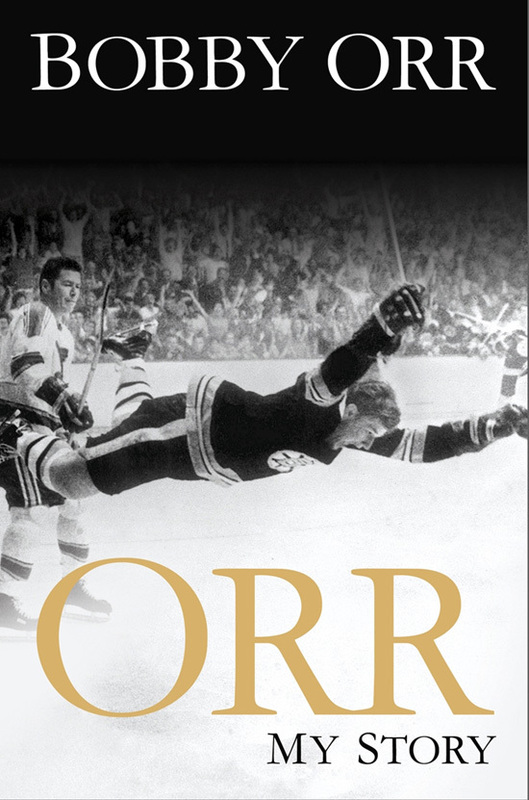 Orr: My Story was released on Oct. 15 and is available at most bookstores and online retailers.